*not organized by Stratman Sports, but as volleyball enthusiasts, Stratman Sports recommends this event! Tournament Format: Teams play between 6 and 8 games in pool play and a minimum of 2 teams from each pool advance to playoffs – but we will try to take as many as possible. Play begins at 9:30 AM! Check-in begins at 8:45 AM! Prizes: 1st Place prizes vary per tournament per division. 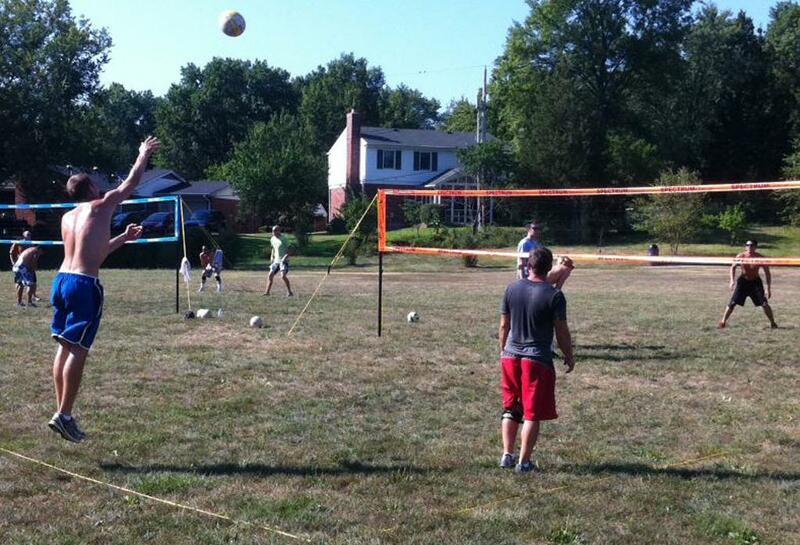 The Registration "Grass Volleyball Tournaments" is not currently available. Deadline to register is the FRIDAY before the scheduled event date! Acceptance after the deadline is limited and dependent on availability. Recreational: For new players or just-for-fun teams (teams with limited skills and abilities - no strong hitters or leapers). Jump serving is prohibited. Intermediate (USAV B): Geared towards players/teams who are seeking a little bit more competition. Participants that play at this level have a reasonable knowledge of the rules. Most players on the team should be able to pass and set with relative accuracy and should be prepared for hitting and blocking. Power (USAV B/BB/A): Competitive teams with players who have experience and strong skills. Players at this level have strong fundamentals in all aspects of the game - serving, passing, setting, attacking and blocking.